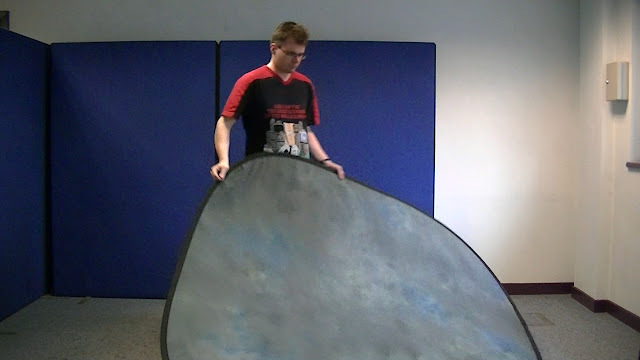 If you have recorded some footage making use of a green screen and wish to insert your own background behind the actor/talent then it is well worth while to reduce the overall computation load of the chromakeyer beforehand. The 4/8/16 Point Garbage Matte may be found within the Video Effects option of the Effects panel, within a sub folder called Keying. Should your actor / talent be moving around quite a bit, you may wish to keyframe the position of the garbage matte over time. The video below give a sense of the keyframing process, once you can do it for one effect you can do it for any effect. 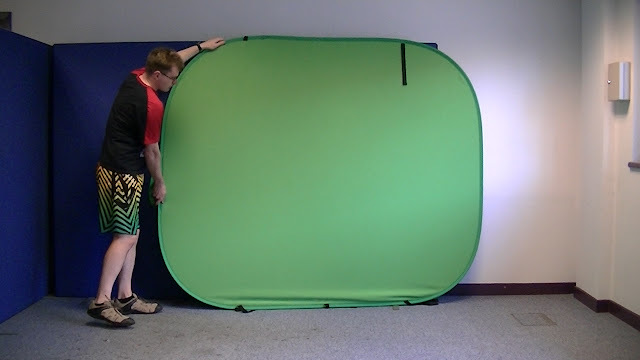 The final step is to go ahead and apply a chromakey effect to the video clip on your timeline. 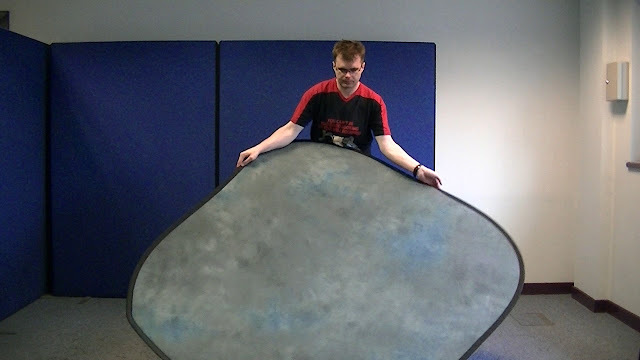 You will note that there are a few different chromakey effects available. You may find that you can get better keying results with the Ultra Key effect. 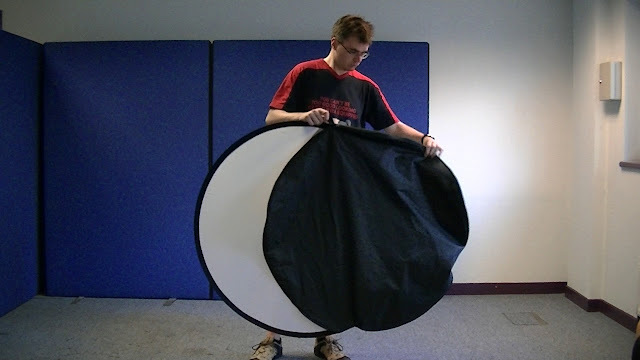 All in all, it will take a bit of time and tweaking to get the perfect chroma keying result. 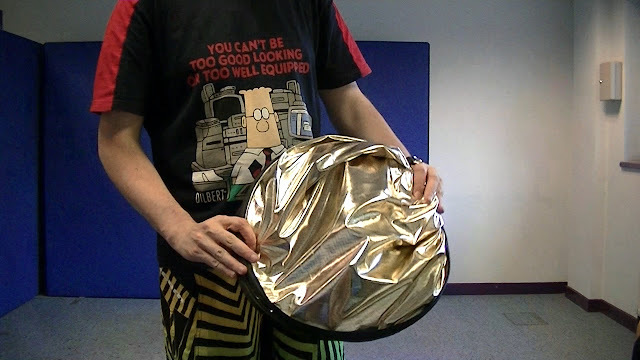 Probably the most important part in all this process is however the quality of the recorded footage. Light is essential, both on the subject and on the background. The background should be evenly lit right across the frame. If you have the option of recording in interlaced or progressive, then choose progressive as this will capture full frames rather than half frames in the case of interlaced, added to that make sure you record at as high a bit rate as you can. At the end of the day if you have captured footage that is well lit, progressive and at a good resolution then the process of chromakeying should be just a matter of a few clicks and your done. 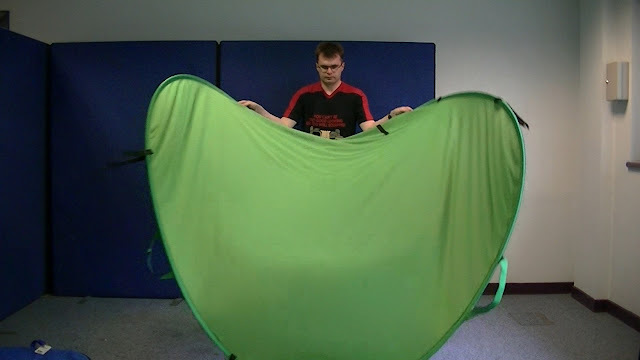 The seemingly complex and mysterious problem of how to fold up portable green screens has long been something that has perplexed many. 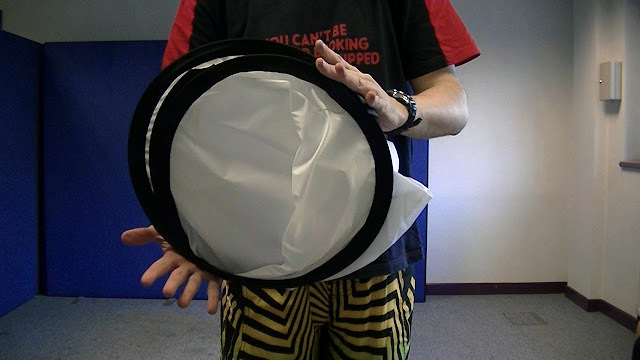 The following set of videos demonstrate a few techniques all very similar in method on how to quickly fold up these seemingly tricky items. 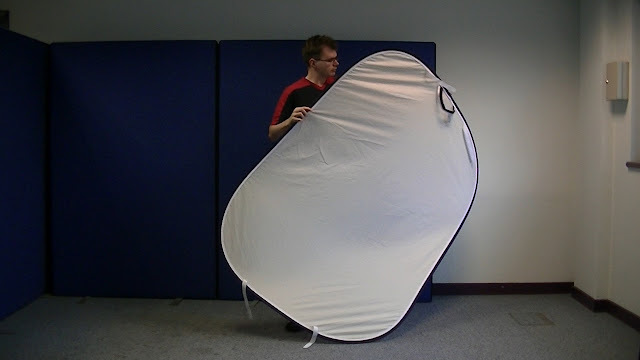 Most of the examples below are from lastolite products, such as the green/blue screen, photography background and the cubelite. 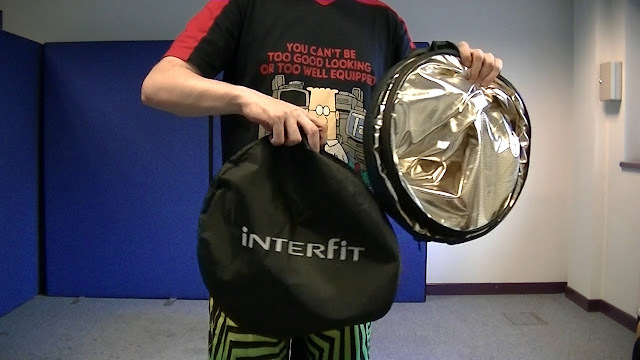 The 5 in 1 reflector is from Interfit. 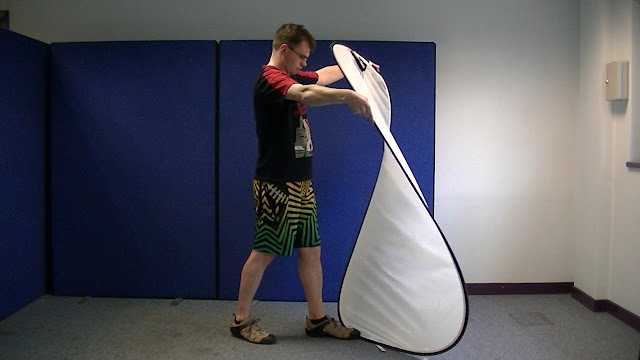 The video series begins with a video showing the process of folding up a 5 in 1 reflector in what is essentially slow motion so you can see the exact process. 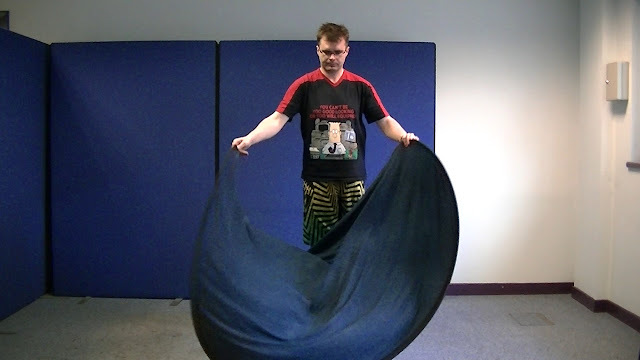 It is simply a matter of placing your hands in alternative positions and twisting. Additional videos showing this process may be seen at http://bit.ly/PCYIV2. 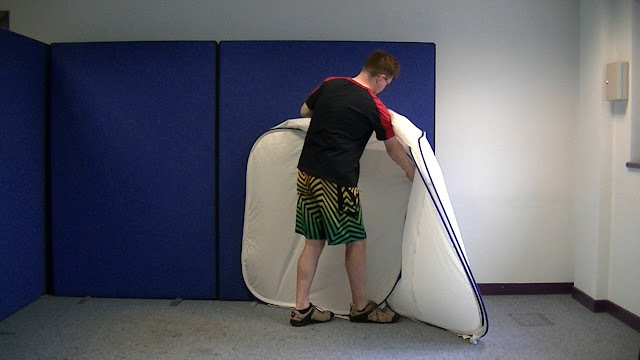 You may often here the steps when folding a green / blue screen referred to as Taco and Tortilla. Many of the unboxing videos you have recently seen & several of the upcoming ones have been recorded using a Sony NX5E video camera & a SWIT 7″ Monitor. In the case of the video camera it was the first professional video camera by Sony to feature in-build GPS. It is connected to the SWIT Monitor via a HDMI cable. This is quite a useful setup especially if you are video recording by yourself as it thereby allow you to see frame the shot and see what is going on in real-time, without such a setup one would really be relying on a camera operator to guide you, even at that however it would be verbal communication and would of course be nowhere near as effective as seeing the in camera framing yourself. 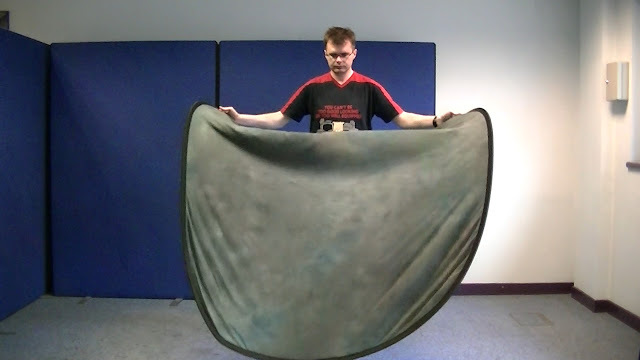 As you can see the footage was recorded in a green-screen room. In this particular case the lights are turned off. The lighting in question being Cool-lite 9’s & 655’s. The Cool-lite 9’s provide the equivalent of 1000 watts of lighting from 9 28 watt fluorescent bulbs. The latter provides 1320 watts from 6 x 55 watt bulbs. 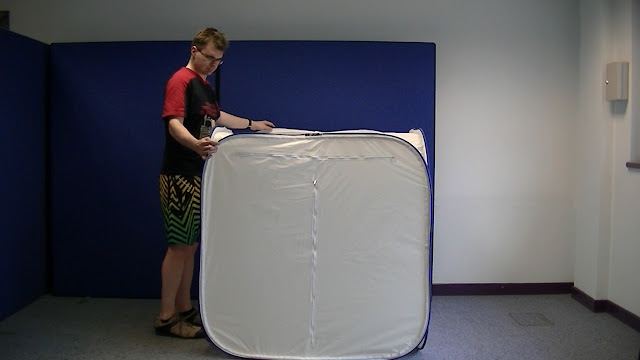 The half-dozen of these lights in the green-screen room provides a total of 6640 watts of lighting colour balanced to 5200K. 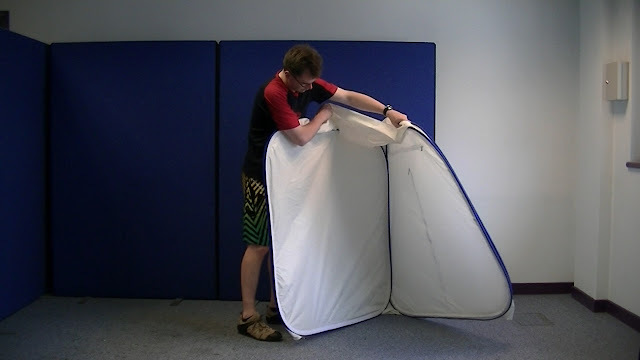 A standard pop-up background, the likes of which you would see in many a standard graduation photograph was used as the backdrop for the unboxing. The following are a few photographs of the camera and monitor taking in some just a little bit of the green screen room & lighting arrangement. Have been looking over the past few days at some free applications that we may use in our green screen room for Applicants Day tomorrow. Paint.NET is quite a nice image processing application similar in nature to Photoshop or GIMPS. 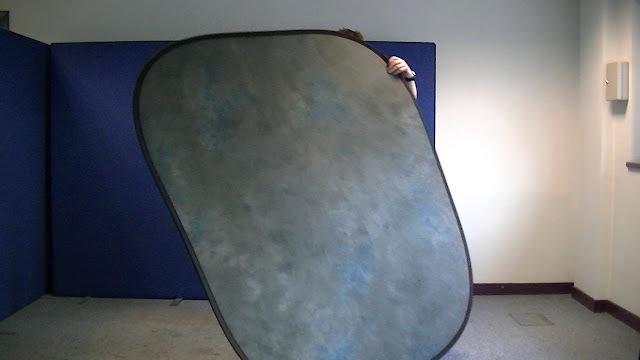 One really useful feature is that with the aid of an additional plugin its possible to more or less instantly chromakey a still image with excellent results. 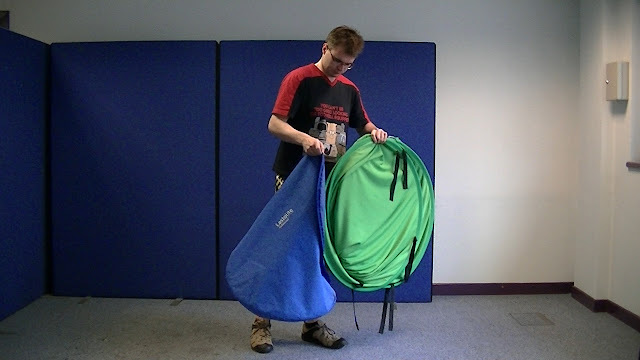 The links below are to the installer and chromakey plugin. Have also been looking at some Photo Mosaic software and came across Andrea Mosaic http://www.andreaplanet.com/andreamosaic/download/ one must supply it with a library of image tiles to work from, so I spent a few hours gathering together about 2500 images from my own collection and from some of the photographs taken by last years Tools for 2D Graphics class. To reduce the load I ran the set of image tiles through Thumbs Plus (http://www.cerious.com/) which is a really great piece of software for managing your photos. Best of all perhaps is its powerful batch processing feature which I put to good use to reduce the resolution of the image set to a more managable size.